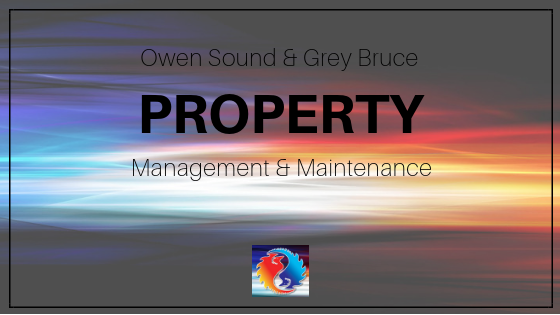 Crose Mechanical provides the areas of Grey Bruce and Owen Sound property management and maintenance services. What Does Property Management and Maintenance Service Include? Crose Mechanical is partnering with Canadian Elder Services (CES) to provide property management and maintenance. We help people who are not able to help themselves stay in their own house. Our job is to look after the mechanical items in your property, such as plumbing, electrical, and heating and cooling. For those who need it, we also subcontract seasonal property services such as gutter cleaning, lawn care, and snow removal. We take great care to ensure homeowners can live happily in their dwellings without the stress of daily upkeep. Who Uses A Property Management and Maintenance Service? Currently, we’ve got several customers who are seniors as well as snowbirds, and owners of recreational properties or cottages. We set our clients up with all the services for their homes to run smoothly, take care of regular inspections, and ensure the heating and cooling systems are operating according to the season. We are here to help our customers look after their houses while they are away, or if they need assistance. How Do I Know If I Need Property Management or Maintenance Services? If you’re interested in discussing the advantages of property management or maintenance, we would be happy to discuss your individual needs. You may need somebody to cut the grass or help out cleaning out your gutters. Every house will be different as to the frequency and depth of services. Give us a call and we can sit down and have coffee and talk about it.